After the enormous success of the 900 series of sunglasses, nobody questioned the economic efficiency of the creations by Cari Zalloni (Mr. Cazal) anymore. Accordingly, there were no limits to Cari Zalloni’s ideas for the 800 series. 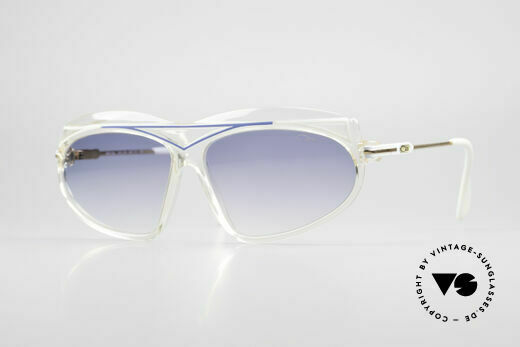 The result was spectacular vintage sunglasses for men and women, such as the asymmetrical Cazal 858 and Cazal 867 models. 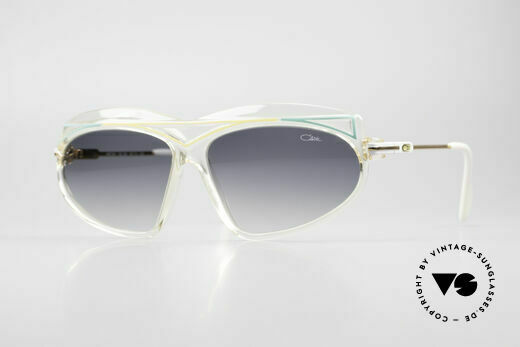 The Cazal sunglasses made of plastic were extremely colourful and real eye-catchers. 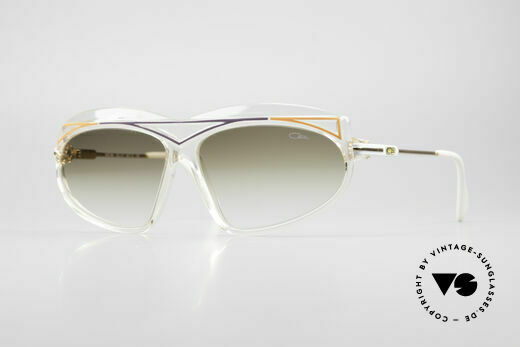 Many of the vintage Cazal 800 sunglasses are true works of art (e.g. 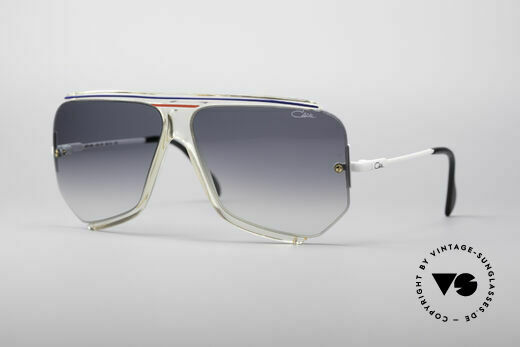 the Cazal 859 and the Cazal 860) and are now coveted collector’s items. Like the models of the Cazal 600 and 900 series, the Cazal 800 series were worn by countless celebrities in the 80s. Cari Zalloni's extraordinary creations can be seen in various old music videos and films. So, it’s no wonder that CAZAL has been reproducing the old vintage Cari Zalloni sunglasses as “Cazal Legends” for several years now. These are still worn today by numerous celebrities from show business. However, these are not original vintage Cazal sunglasses, but rather retro Cazal glasses - true to the original reproductions. We can still offer you the rare original Cazals from the 80s (made in West Germany), because an original is and remains something special. elegant original from app. 1986 - OLD SCHOOL! NO retro shades, but a rare 30 years old original! NO RETRO fashion, but a unique original from 1986! NOT the re-issue from 2010; the old ORIGINAL!! NO RETRO, but an app. 30 years old ORIGINAL! NO retro sunglasses, but a 25 years old rarity, vertu! massive frame design; more "vintage" isn't possible! NO retro fashion, but a unique 25 years old rartiy!! unique quality & complex coloring - just vintage! NO RETRO FASHION, but a 25 years old rarity !! NO retro shades, but a genuine 25 years old Cazal rarity!